2018 CHEVROLET SILVERADO LT W/1LT CREW CAB 4WD 5.3L V8, TRANSMISSION OIL COOLER, 18" POLISHED ALUMINUM WHEELS, CLOTH SEATS, 6" CHROME TUBULAR ASSIST STEPS, TRIP COMPUTER'S, O/D TOW-HAUL MODE, 8" COLOR-TOUCH-SCREEN, BLUETOOTH CONNECTION, SMART DEVICE INTEGRATION'S, BACK-UP CAMERA, HEATED MIRROR'S, KEY-LESS ENTRY, MUST HAVE TRADE-IN OR CERTS!!!!!!!!!! ALL STAR EDITION / 2019 CHEVROLET SILVERADO 1500 LT CREW CAB 4WD 5.3L V8 / REMOTE ENGINE START / 20" PAINTED ALUMINUM WHEEL'S / 6" TUBULAR ASSIST STEP'S / SECURITY SYSTEM / LIFT-ASSIST TAILGATE / LED LIGHTING / TRAILERING PKG WITH HITCH / HEATED FRONT SEAT'S / KEY-LESS ENTRY AND START / DUAL ZONE A/C + CLIMATE CONTROL / LED DURA-BED LIGHTING / REAR BACK-UP CAMERA / TRACTION & STABILITY CONTROL / EXTRA SHARP!! 2019 CHEVROLET CRUZE LT SEDAN 1.4L I4 TURBO-CHARGED ENGINE, PREMIUM CLOTH SEATS, EXTRA POWER OPTIONS, FOG LAMPS, 17" ALUMINUM WHEELS, RS SPORT BODY KIT PKG, REAR SPOILER, EXTRA SHARP!! 2019 CHEVROLET EQUINOX LT W/1LT FWD 1.5L I4 TURBO-CHARGED / LANE CHANGE ALERT / DUAL ZONE A/C + CLIMATE CONTROL / REAR CROSS-TRAFFIC ALERT / BLIND ZONE ALERT / POWER REAR LIFTGATE / SECURITY SYSTEM / REAR BACK-UP CAMERA / HEATED SEATS!! 2019 CHEVROLET SPARK LT W/1LT FWD 1.4L I4 WITH PREMIUM CLOTH SEATS AND EXTRA POWER OPTIONS! 2019 CHEVROLET COLORADO LT CREW CAB 2WD 3.6L V6 WITH CLOTH SEATS / TOW / HAUL MODE TRAILERING PKG, POWER OPTIONS, BLUETOOTH CONNECT / WI-FI HOT-SPOT / MP-3 PLAYER / SMART DEVICE INTEGRATION / KEY-LESS ENTRY / LOW MONTHLY PAYMENST!! 2019 CHEVROLET COLORADO LT CREW CAB 2WD 3.6L V6 WITH EMPLOYEE PRICING IF YOU QUALIFY!! 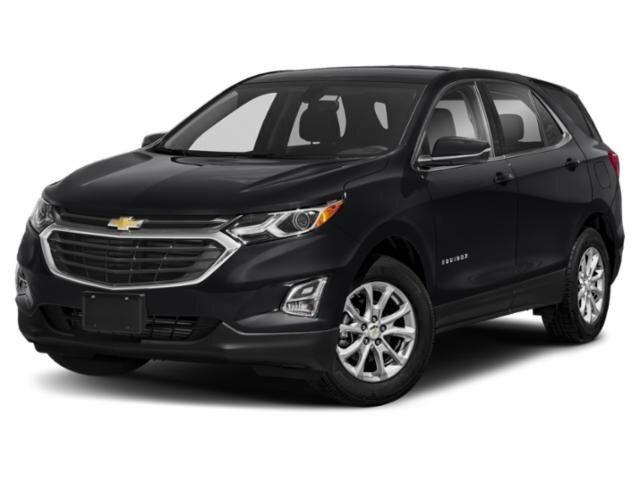 2019 CHEVROLET EQUINOX W/1LT FWD 1.5L I4 TURBO-CHARGED ENGINE AND HAS EXTRA POWER OPTIONS!! 2019 CHEVROLET EQUINOX LT WITH 1LT FWD 1.5L I4 TURBO-CHARGED...REMOTE VEHICLE START...BLUETOOTH CONNECTION...BLIND ZONE ALERT...CONFIDENCE AND CONVENIENCE PKG...DUAL ZONE A/C + CLIMATE CONTROL...CROSS-TRAFFIC ALERT...HEATED SEATS!!!!!!!!! 2019 CHEVROLET SPARK LT W/1LT PKG 1.4L I4 WITH CLOTH BUCKET SEATS, EXTRA POWER OPTIONS, 7" DIAGONAL COLOR TOUCH SCREEN, POWER OPTIONS, HEATED MIRRORS, MP-3 PLAYER, BLUETOOTH CONNECTION, SMART DEVICE INTEGRATION, KEY-LESS ENTRY!! 2019 CHEVROLET SILVERADO 2500 LTZ CREW CAB 4WD 6.6L V8 DURAMAX TURBO-DIESEL WITH DURA-MAX PLUS PKG / 5YR / 100,000 MILE WARRANTY / NAVIGATION / 20" POLISHED ALUM WHEELS / 6" CHROME TUBULAR STEPS / Z-71 OFF ROAD PKG / ENGINE BLOCK HEATER / FRONT AND REAR PARKING ASSIST / BOSE AUDIO SYSTEM / 5TH WHEEL TRAILER WIRING! !### MUST HAVE CERTS OR TRADE-IN! !